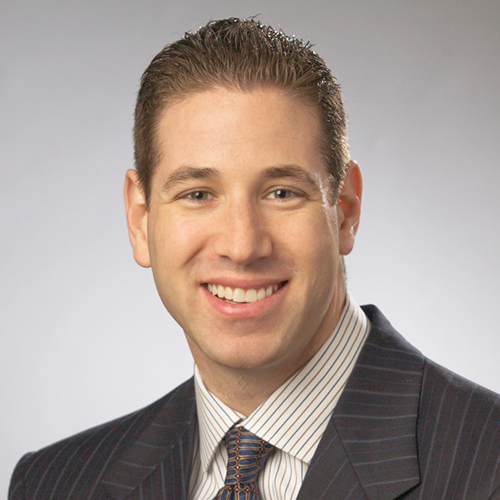 Matthew Kenefick's law practice extends to litigation, compliance and real estate matters. Matt represents a variety of industries including manufacturers, financial institutions, retailers, real estate developers, and the hotel industry, among others. Representation of Plaintiff venture capital fund in an extended jury trial, lasting 30 trial days, involving a breach of contract claim against a semiconductor corporation and fraudulent transfer claims against more than twenty defendants. Result: verdict in favor of client for more than $4.5 million on the breach of contract claim and more than $9.2 million on the fraudulent transfer claims. Matt also successfully defended the verdict on appeal and enforced the resulting judgment, collecting all amounts owed. Defense of $77.5 million breach of fiduciary duty lawsuit, through a month long jury trial. Result: verdict in favor of client. Defense of defamation and breach of fiduciary duty lawsuit arising from client's role as a whistleblower in an alleged affinity based "Ponzi" scheme. Result: dismissal of lawsuit with prejudice following successful anti-SLAPP motion, including recovery of significant amount of attorneys' fees for client. Defense, through appeal, of complex fraudulent transfer, successor liability, and alter-ego action through trial. Result: defense verdict in favor of client that was upheld on appeal. High value judgment enforcement matters. Supply chain, corporate social responsibility and responsible sourcing advice and guidance. Product compliance advice and guidance, including Proposition 65, labelling and safety. Performing enterprise-wide gap analysis of operational compliance matters. Change management, internal campaigning, and policy, procedure and practice development. Responding to Department of Justice, District Attorney and Attorney General investigatory proceedings. Providing retail operational compliance guidance and counseling. Physical access litigation, counseling and infrastructure guidance. Conducting internal investigations involving sensitive and highly confidential subject matter. Counseling clients on disabled access technology and compliance, including policy development and website accessibility. Counseling clients on Electronically Stored Information collection, preservation, processing and production. Defense, through appeal, of developer from challenge to grant of land use entitlement for substantial San Francisco condominium project. Result: obtained judgment in favor of client that was upheld on appeal. Prosecution and defense of complex commercial leasing lawsuits, including lease term extension, restricted use, and return condition disputes. Representation of well-known lenders in complex commercial foreclosure, receivership, and guaranty actions. Representation of prominent entities in defense of disability access lawsuits. Negotiation and drafting of commercial leasing agreements. Administrative law and land-use proceedings. Matt is from the San Francisco Bay Area, growing up in Los Gatos. Prior to becoming a lawyer, Matt worked his way through college in heavy equipment. Matt is a proud father and in his spare time, Matt enjoys spending time with his family, travel, golf, outdoors and wildlife photography. Prior to joining JMBM, Matt performed volunteer legal work at Legal Advocates for Children and Youth, East San Jose Community Law Center, and the Santa Clara County Public Defender's Office.